Dr. Matthew Mars, Assistant Professor of Agricultural Leadership and Innovation, is the Founder and Director of the Innovation Collaboratory. Dr. Mars has over a decade of experience teaching innovation and entrepreneurial leadership courses (undergraduate and graduate level) using collaborative and project-based learning approaches and designs. This experience directly informs the flexible and interactive design of the Collaboratory. Dr. Mars maintains an active research agenda that intersects innovation and entrepreneurial leadership with community development, education, and localism. His research has been published in a diverse range of journals that include Agriculture and Human Values, Journal of Higher Education, Journal of Management Inquiry, Organizational Dynamics, and Rural Sociology. For more information, please visit his faculty webpage at: https://aed.cals.arizona.edu/faculty/matt-mars. As managing director of the Collaboratory, Emre Toker is the inaugural Mentor-in-Residence of the College of Agriculture and Life Sciences. He founded 3 successful life sciences companies and invested in and mentored numerous other successful startups. Through the Innovation Collaboratory, Toker will guide practical workshops in both classroom and online settings, connect faculty and students with other mentors and experts, provide opportunities for one-on-one discussions, and facilitate connections between the UA and local and national innovation and entrepreneurship partners —including angel investor groups, industry, start-ups, Tech Launch Arizona, StartUp Tucson and venture capital firms. As the research and teaching assistant for the innovation classes and curriculum, Tyler Thorp is a Ph.D. student in the Agricultural Education and Higher Education dual program. She is available as a peer mentor for students and to facilitate research and development for the innovation collaboratory to ensure the programs are constantly evolving and adapting to new technologies and insights. This course is an exploration of the principles and practices of entrepreneurial leadership, and the application of such principles and practices within agricultural and rural communities, the cooperative extension system, educational organizations and systems, agricultural agencies at the local, state, and federal levels, and agricultural enterprises and life sciences industries. Emphasis is placed on the knowledge and skills required to effectively lead and sustain change and impact within and across organizations, communities, and settings that intersect the agricultural and life sciences fields. Watch: Out-of-the-ordinary careers: How to be an entrepreneurial leader (starts 04:11) with vice president of WndrCo. You will need the site password to watch curated videos. 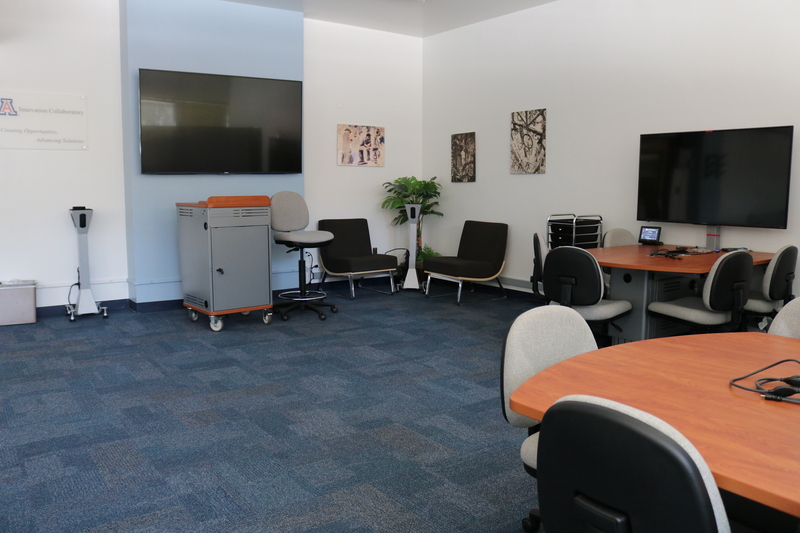 Only students and other members of the innovation collaboratory have access. For information on how to gain access please email Ms. Tyler Thorp. Delaney, P. G., Harrington, K., & Toker, E. (2019). Undergraduate Student-Run Business Development Services Firms: A New Educational Opportunity and Growth Alternative for Small and Medium Enterprises. Entrepreneurship Education and Pedagogy, 2(2), 171-187. Mars, M. M., & Schau, H. J. (2018). The Jazziness of Local Food Practice Work: Organization‐Level Ingenuity and the Entrepreneurial Formation and Evolution of Local Food Systems. Rural Sociology. Mars, M. M., & Torres, R. M. (2018). Developing collegiate student proclivities for entrepreneurial leadership. The Journal of Leadership Education. Mars, M. M., & Schau, H. J. (2018). What Is Local Food Entrepreneurship? Variations in the Commercially and Socially Oriented Features of Entrepreneurship in the Southeastern Arizona Local Food System. Rural Sociology, 83(3), 568-597. Mars, M. M., & Bronstein, J. L. (2018). The promise of the organizational ecosystem metaphor: An argument for biological rigor. Journal of Management Inquiry, 27(4), 382-391. Mars, M. M., & Schau, H. J. (2017). Institutional entrepreneurship and the negotiation and blending of multiple logics in the Southern Arizona local food system. Agriculture and human values, 34(2), 407-422. Szelényi, K., Bresonis, K., & Mars, M. M. (2016). Who Am I versus Who Can I Become? : Exploring Women's Science Identities in STEM Ph. D. Programs. The Review of Higher Education, 40(1), 1-31. Mars, M. M., Bresonis, K., & Szelényi, K. (2014). Science and engineering doctoral student socialization, logics, and the national economic agenda: Alignment or disconnect?. Minerva, 52(3), 351-379. Mars, M. M., Bronstein, J. L., & Lusch, R. F. (2012). The value of a metaphor: Organizations and ecosystems. Organizational Dynamics, 41(4), 271-280.